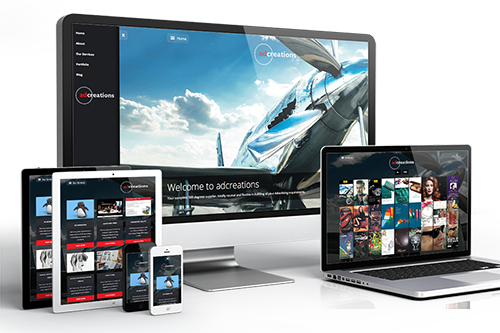 Adcreations is a family run business supplying and offering a complete 360 degree service for all your Advertising requirements. Not only do we offer over 30 years of expertise in the industry we bring consistency, efficiency and a little bit of traditional care to every piece of business whether small or large. We all take great pride in our work and give back to our clients the peace of mind and satisfaction. Adcreations offers not only a top class service meeting all required deadlines but also one which is very competitively priced against other suppliers in the market place. This obviously is very attractive especially in these financial difficult times. Our team have all been working in the industry since the start of their careers, starting from apprenticeships up to fully qualified professionals in their field. We offer the highest level of expertise and production project management on every project which we are given. Based only 10 miles from London our offices are also only 2 minutes from mainline station making it easy and assessable for clients. We are thankful to all our clients for the work which we have been given over the years and we look forward to the new helping us to continue to grow and diversify with new technology.